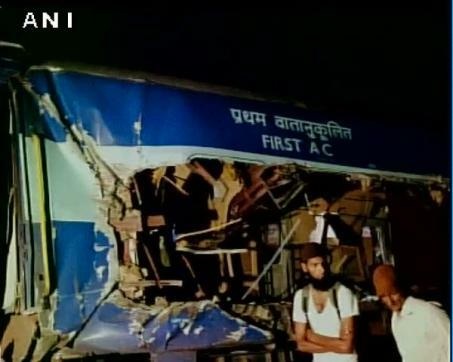 Andhra Pradesh’s Anantapur district when a lorry collided with the train that killed five people, including an MLA in the accident. According to officials, last night the Bangalore-Nanded Express accident occurred at half past two near the Rangapalli crossing in Anantapur district. The dead included a Karnataka MLA A. Venkatesh Naik. Naik has been Former MP as well. Three people were injured in the accident. Railway officials said the train had pulled out of the affected coaches and the relief and rescue work is continuing on a war footing. The incident affected traffic on the Bangalore-Guntakal route. Currently, work is continuing to remove the track. The minister Suresh Prabhu have regretted the incident and tweeted after the incident “My sympathy is with the families of the dead. Immediate medical relief has been rushed to the spot. The authorities have also been asked to go on the spot”. He is regularly reviewing the situation. Meanwhile, Chief Minister Chandrababu Naidu ordered Anantapur district collector to investigate the case.